Democratic presidential candidate Sen. Bernie Sanders (I-Vt.) has outlined a single-payer health plan that may be several trillion dollars short of breaking even, according to recent analyses. Sanders, who nearly tied rival Hillary Clinton at the Iowa caucuses Monday, has said he would institute a Medicare-for-all plan that would make the federal government the insurer for all Americans. It would have more benefits than Medicare and would not include cost sharing. According to the campaign, the healthcare plan would cost $13.8 trillion over a decade and proposes several taxes that would generate more than enough to pay for it. A recent review by the Committee for a Responsible Federal Budget, however, suggests the taxes would pay only for about three-quarters of the plan's costs, which could be significantly higher than the campaign estimates. The report shows the taxes would raise about $3 trillion short of what the campaign expects. That gap would be significantly higher, according to other economists who say Sanders' plan would actually cost closer to $24.7 trillion. Marc Goldwein, vice president of CRFP, said he is glad to see Sanders present a plan and explain how he would propose to pay for it, but his estimates just don't add up. 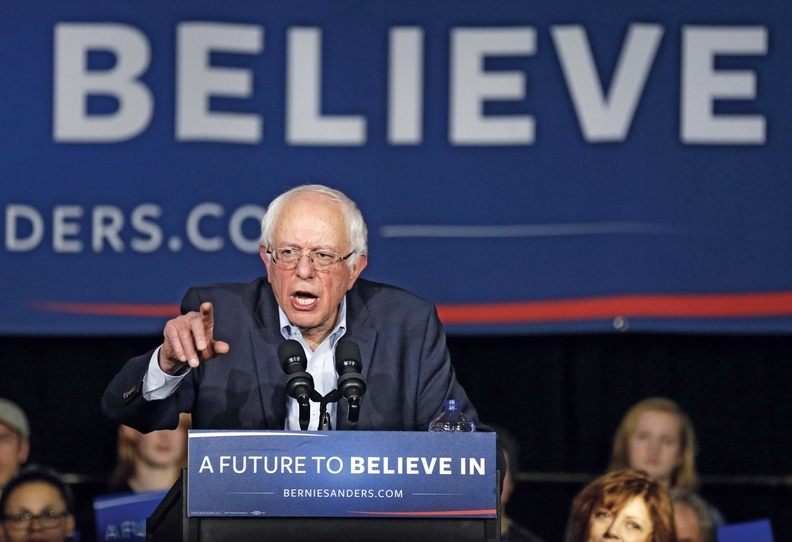 The main problem with Sanders' plan is that it hikes taxes for the wealthy too much. Most economists believe that there is a point at which a tax actually reduces revenue because people make more of an effort to avoid it or will try to find ways to lower their income, he said. This is often thought of as in the range of a 60% to 70% rate. Sanders would raise the rate to 85% when states and local taxes are included, and that is beyond the revenue-maximizing point, he said. Clinton has blasted Sanders' plan as unrealistic and nearly impossible to get through Congress. This analysis of how he would pay for it only serves to bolster her claims, Goldwein said. Clinton and other critics, however, don't acknowledge that the taxes people would pay for national health insurance would replace premiums they and their employers currently pay for private insurance, offsetting the cost.